When was the last time you had facial? I mean a real full pampering facial by well-trained therapist, those express facial is not counted okay... Well, using skincare at home on daily basis is important but we also need some booster for our skin, body and mind. That is when the real facial works wonder on our skin and also our well-being. So 2 weeks ago I tried Dr Sebagh Advanced Anti-Ageing Facial at Dr Sebagh boutique in Bangsar Village II. I love anti-ageing products, facials and treatments, trying to maintain my youth and also improve my skin conditions. Not that I have bad skin but we need to constantly take care of skin and outlook also. Dr Sebagh Advanced Anti-Ageing Facial is their signature facial treatment to improve our skin rejuvenation, cellular turnover and growth. I really enjoyed the way Leha, the therapist massage and also the way she did the lymphatic drainage with pure and organic essential oils. I think I fell asleep, totally switch me into relax mode. 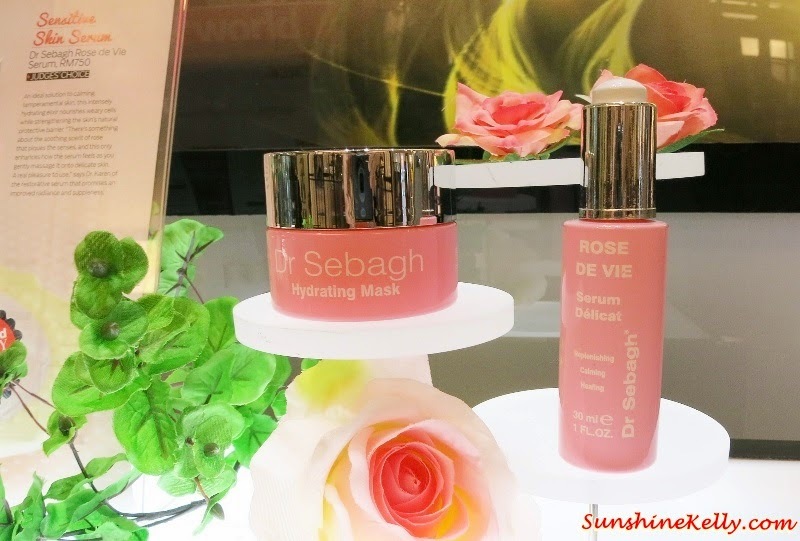 Talking about the mask… Dr Sebagh Hydrating Mask and Rose De Vie Replenishing Calming Healing Serum are something I will consider getting this Christmas. I can feel the moisture and soothing boost after using it. Dr Sebagh’s Facial brings a step closer to achieving healthy, glowing skin. Hey these are the details and steps to cleanse, deeply exfoliate and rejuvenate my skin in 60 minutes. Both, the facial including eye treatment takes about 90 minutes. The results: I can see and feel the immediate suppleness and moisture plus glowing on my skin. The face, neck, shoulder including arms and hands massages and lymphatic drainage steps were really good. If I continue this facial for a few more times it will further improves the clarity and radiance, evenness of my skin tone and strengthening collegen fibres. Repairs and rejuvenates the skin while combating various signs of aging. Advanced complexes rebuild skin’s firmness and elasticity, and deliver superior hydration. This highly effective facial procedure reduces and prevents wrinkles. Uses supreme range to visibly lift, firm, brighten, energize and stimulate the production of new cells and collagen. For thirsty skin, this hydrating facial will stimulate circulation, restore elasticity and re-sculpt your face.